As a bonus, I’m going to let you know the differences I noticed between a genuine Shills BB Cream and a cheap copy. Make sure to check your product carefully to avoid being jibbed! Firstly, when I took these out of their boxes it was clear that the fake had a pleasant but strong smell which could easily be detected without even opening the tube. This can be clearly demonstrated by my cat, as she is sniffing the fake product through the packaging. A closer look at the front of the tubes reveals that the Shills sticker is at an angle on the original the label is lighter in colour. The Shills lettering is also sharper and only in silver on the real one, while on the fake tube the lettering is a bit feathery and has a rainbow hologram. The back of the tubes is quite similar except for the nifty looking, high quality holographic, circular A/N number sticker on the original product. The fake has no such sticker. Now looking at the boxes, the real Shills packaging is lighter in colour and has slightly sharper details. The real difference here was that the original product arrived factory sealed in clear, plastic shrink wrap. The back of the boxes look very similar, with the genuine lettering looking just a bit sharper. The side of the box is a bit give-away. The real product has a list of ingredients, a barcode and a serial number sticker on it, while the fake has none. The genuine Shills box also has a date stamp and another serial number on the bottom, and the copy has nothing. 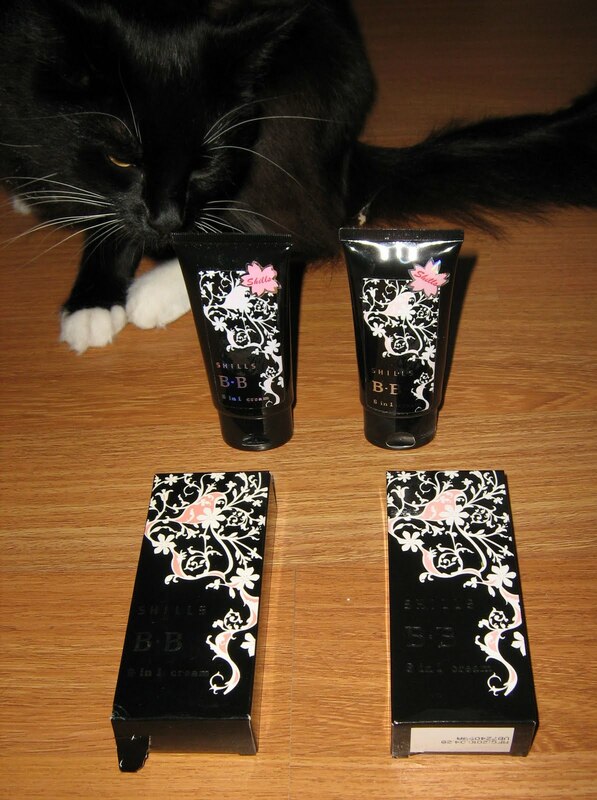 The BB cream itself should look watery and somewhat translucent when applied. The fake product which I received looked very heavy and solid. My guess is that the copy was just regular full coverage foundation.